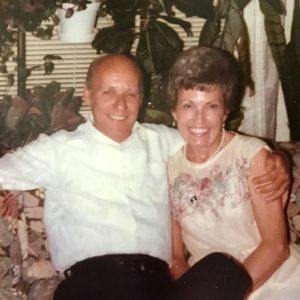 Gloria Louise Spearman, 92, of North Charleston, South Carolina, widow of James Rudolph Spearman entered into eternal rest Wednesday, March 13, 2019. All services will be private. Arrangements by J. HENRY STUHR INC., WEST ASHLEY CHAPEL. Gloria was born March 18, 1926 in Varnville, South Carolina, daughter of the late Eugene Clifton and Louise Newton Clifton. She was a USAF wife who loved traveling the country with her husband in their Airstream. She eventually retired to Olympia, WA. She was a lady of many interest and unique experiences and employment. She was a bookkeeper, dairy lab tech and Dental Hygienist. She was also a stylist at the former Sahara Hotel and Casino to many celebrities and notable entertainers. She is survived by her daughter, Gloria Jean Erwin of North Charleston, SC; two granddaughters, ReNae Philips (Chad) of West VA, Charesa Taylor of Goose Creek, SC; four great-grandchildren, Parker and Hunter Philips, KyRa and DaNean Taylor; sister, Patsy Grier Wilson (Jim) of Sumter, SC; and numerous nieces and nephews. In addition to her parents and husband, she was preceded in death by her brother, Donald Gordon Clifton, Sr.
Life Stories provides friends and families a forum to post their favorite stories and memories of Gloria Louise Spearman ensuring the precious experiences are never forgotten. Share joyful times, post a photo that captures the moments you cherish, and allow others to reply, relive and remember.